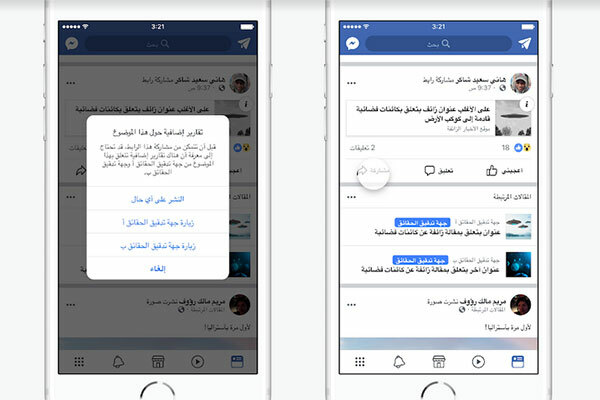 Facebook said today (February 6) that it will be launching third-party fact-checking in Arabic, in partnership with Agence France-Presse (AFP) Mena. This partnership will not only help fund the fact-checking work that AFP will do on Facebook, but help them in their efforts to combat false news off the platform as well. Facebook’s new Arabic fact-checking program will begin to roll out this year with the aim to reduce the spread of misinformation, whilst improving the quality of news people find on its platform. AFP is part of a global network of fact-checking organizations, certified by the non-partisan International Fact-Checking Network. Arabic-speaking AFP fact-checkers will tap the additional expertise of local journalism bureaus across Mena to fact-check Arabic-language content on Facebook. And will follow a standard set of criteria when determining the veracity of stories. "We are delighted to extend our fact-checking project with Facebook into the Middle East and beyond. Information verification is at the heart of AFP’s mission and its expertise and is something that our clients benefit from daily in this era of fake news and disinformation,” said Phil Chetwynd, AFP global news director. “This new contract with Facebook to the Middle East and Africa marks an important new step for AFP, the leading international news agency in Arabic,” added Rita Daou, head of AFP's Arabic service and the Agency's deputy Middle East editor.